If you need ankle surgery to repair a fractured bone or torn ligament, you will have to stay off your feet for awhile. However, this doesn’t mean that you can’t take steps to stay healthy during recovery from ankle surgery. Taking a proactive approach to your recovery can help speed up the healing process and ensure that you are ready to return to normal activity immediately after your ankle has fully healed. Your body requires a lot of energy to heal, so getting ample rest, including high-quality sleep, is critical for a fast recovery. Much of the healing that must take place after ankle surgery will happen while you are sleeping, so do not to underestimate just how important it is. Before your surgery, create a restful environment and make sure you have everything you need in the area where you will be recovering so you don’t have to get up more often than necessary. After the initial period of rest, you will still have several weeks before you can return to normal activity. In addition to the physical therapy that your doctor will prescribe, you can stay active in other ways. Don’t use this setback as an excuse to become a couch potato during recovery from ankle surgery. Take advantage of the extra time to work on building upper body strength and increasing flexibility. You might not be able to walk or run, but you can stretch and perform plenty of resistance exercises. If you’re not sure which activities are appropriate during recovery, ask your doctor or physical therapist for a list of what you should be able to do and which activities to avoid. Stock your fridge before surgery to ensure that you have healthy snacks and meals that are easy to prepare. Plan on having about two weeks of food prepared so that you don’t have to go shopping or make poor food choices; this might include freezing some meals that you can reheat later. Recovery from ankle surgery is not the time to go on a diet. Your body needs calories to heal itself, so make sure you get all the energy you need from a balanced diet of protein, fruits, vegetables, and whole grains. If you are a smoker, this is an excellent chance to quit. In addition to all of the other negative health implications, smoking can slow down recovery from ankle surgery. Additionally, if your surgery requires anesthesia, smoking can increase the risk of complications. After a trauma (like surgery) the body’s natural response is inflammation. While this is a necessary step in the healing process, excess inflammation can actually slow down recovery after ankle surgery. You can help control pain and swelling with the help of a cold therapy machine that provides consistent therapeutic cold and pneumatic compression which pumps unwanted fluid away from the ankle. If you are interested in getting a cold therapy machine for your recovery from ankle surgery, get in touch with Game Ready today. We will connect you will a local provider so you can rent a machine for use home or get treatment in a physical therapy clinic. 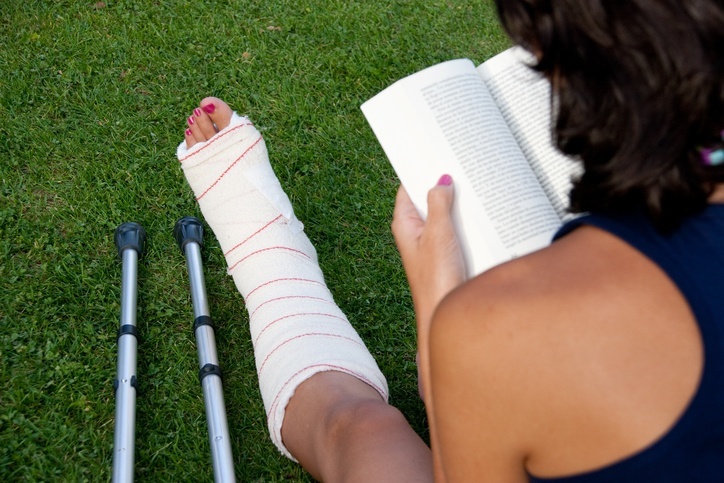 What steps are you taking to stay healthy during recovery from ankle surgery?